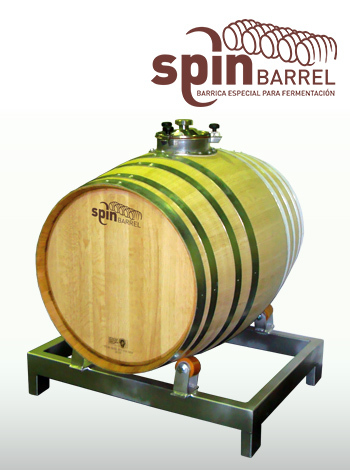 Here is the SPIN BARREL 500 L, a barrel designed specifically for fermenting wine. Available in French oak and American oak. 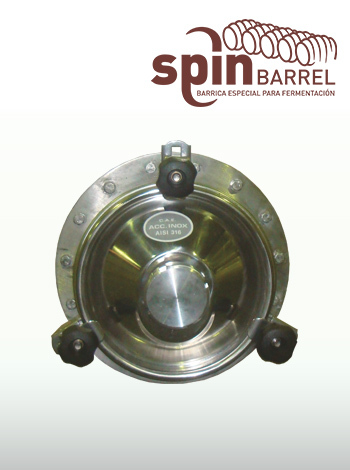 • Special support with dual bearing wheels allowing easy rotation of the barrel and mass discharge. • Allows for modular installation without loss of speed. • Ready to drive with door - or pallet stacker.